The club has its origin in 1965, when Enrique Zobel constructed the field of the Beach. Two years later, in 1967, began to hold polo tournaments of familiar character. In 1971 the Gold Cup of Sotogrande was disputed for the first time. The 46th Sotogrande International Polo Tournament will celebrate the final of its top trophy, the Gold Cup Santa Maria Polo Club, on the afternoon of next Sunday, August 27, 2017, at the Los Pinos courts. His Majesty King Juan Carlos will deliver the award to the winning team at the end of the meeting. 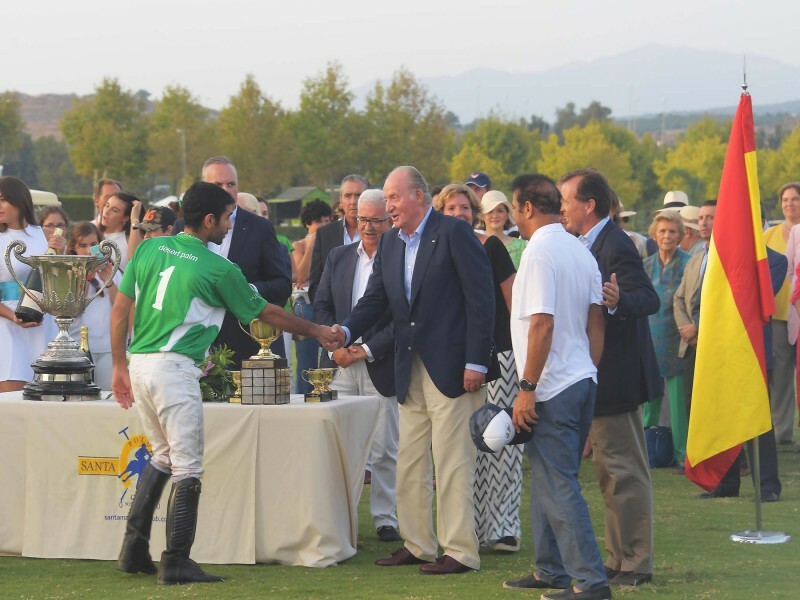 His Majesty the King, a great fan of sports in general, and among them those related to the world of the horse, repeats this year his support and closeness with the TIP competition in Sotogrande, presiding over the trophies of the grand finale, As he did in the 2016 edition. In this 46th edition of the International Polo Tournament there are 21 teams, with a large number of elite players, including four of the ten best polls in the individual world ranking: Argentinians Facundo Pieres, who is aligned with the Ayala team; Juan Martin Nero (Lechuza Caracas) and Pablo MacDonough, alternating with the formations of Brunei and Dubai, and the Uruguayan David Stirling (Lechuza). The competition is currently in a phase of great excitement, with the four teams of high handicap contending fiercely for the longed for in the final. Santa María Polo Club de Sotogrande is considered one of the most important polo clubs in Europe, both for the quality of its facilities and for the category of its sporting competitions. Santa María Polo Club has organized for more than 40 years the International Polo Tournament, the most prestigious sport and social event of the summer in Europe. In addition to its incorporating environment and location, the Club has the experience, means, and infrastructure necessary for the organization of social, corporate or sporting events at any time of the year.